Formerly known as DJ Charity, she is passionate about music, CYD is a highly demanded Washington, D.C based DJ. She is a rising artist that puts a touch on classic sounds crossed with vivacious beats. Her energetic open-format style shows her vast knowledge of music, which has been well received with clients that have endorsed her including Nike, Under Armour, Superdry, DKNY, Tory Burch, Lamborghini & Maserati. She was the official sponsored for the Nike Half Women’s Marathon. Her current residencies are Tropicalia, 14-Forty and Fig & Olive. She is the official DJ of the Clio Award Show in New York City. CYD has such a deep love for house music that she debuted in Aruba for Love Festival. CYD is the Regional Director in the Washington, DC area for the House Music Awards. She performed at the renowned house music venue, Echostage for Budlight. CYD is also a radio personality. She programmed music for Electric Heart FM, co-host “The Cellar” on Blis FM & worked alongside Guy Lambert and “The Kitty of the City,” Jeannie Jones of CBS Radio. When she is not moving the dance floor crowd, she is running her company, High Caliber Events (HCE). The motive behind HCE is to empower the local community with art.. She also involves charitable organizations in her events and helps mentor girls and women. DJ CYD says “I find true happiness in making others smile and helping them find their inner strength. 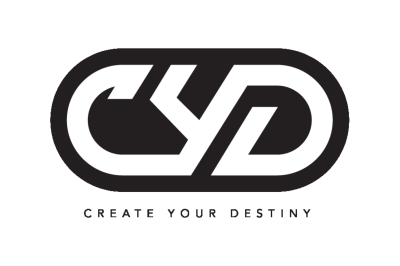 I know purpose in life is to help people find their destiny.” Hence, CYD is the acronym for Create Your Destiny.